This item is out of stock but should return by 9/12/2019. Please come back. 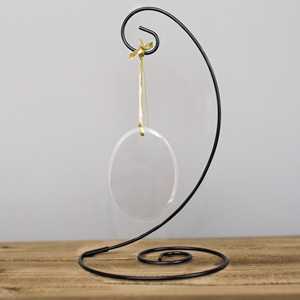 Give the aspiring chef in your life a reason to smile this Christmas season when you present them with a personalized Christmas ornament for their tree. Allow them to show off their passion for the culinary arts year after year during the holiday season. 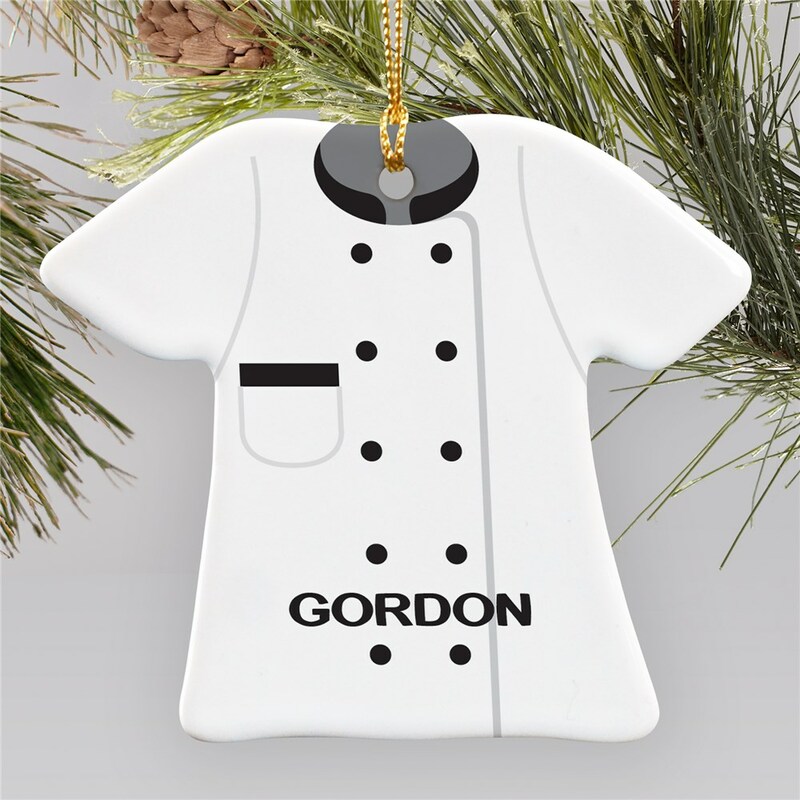 This Personalized Chef T-shirt Ornament is a flat ceramic Christmas Ornament and measures 3"H x 3.5"W. Each Chef Christmas Ornament includes a ribbon loop so it can easily hang from a tree or ornament stand. Free personalization of any name is included. Additional Details Whether it's a tree trimming party, a birthday gift, or a pre-Christmas present, this personalized gift will make the chef in your life smile this holiday season. 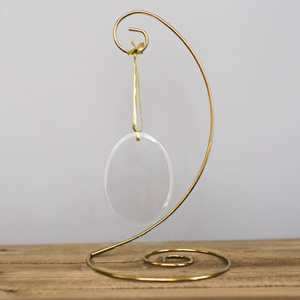 Nothing will spread yuletide cheer like this ornament that shows off their passion for cooking. Our Personalized Ceramic Airplane Pilot Ornament is another great occupation ornament to look at.